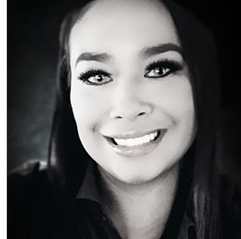 Please join us in celebrating Angeles Mendoza, Medical Unit Clerk (MUC) at Camarena Health in Madera, CA. Angeles is Equiscript's Site Champion Spotlight for December! Site Champions play a significant role in the success of Equiscript home delivery pharmacy programs across the country. The leadership at the health centers choose their Site Champions as a point of contact between the Equiscript team, providers, and patients. They are super-organized, super-involved superstars who carry out the tasks necessary to make a successful program. Angeles has been the Equiscript Site Champion for Camarena Health since its program launch in August of 2018. Equiscript Client Relationship Manager, Vivian Suarez said, "This is a client that got everything (all pending prescription requests) turned around in the first day they launched! No client has done that and it was all due to Angeles." When asked about being her health center's program Site Champion, Angeles said, "I’m humbled for being Site Champion at my health center’s home delivery pharmacy program. It’s through the support of my lead, co-workers, and more essentially our wonderful hardworking health care providers that I’ve been able to accomplish this task. I wouldn’t have succeeded without their help and for that I’m graciously grateful." Equiscript Account Manager, Mitchell Brewer said, "Angeles has been an absolute pleasure to work with. She has gone above and beyond to help patients who have enrolled in the home delivery pharmacy program. Being recognized as site champion of the month is much deserved." For Camarena Health, Angeles identified the main barrier to care as a lack of insurance coverage which makes it hard for patients to be seen if they can't afford the cost of the visit or medication they are prescribed. "Our healthcare practice does its best to enroll patients in discount programs and patient assistance programs for their medications. With the Equiscript program now available, it’s an additional effort to help lift the financial burden patients experience with their medication costs," said Angeles. Angeles said having PillPack in the Equiscript pharmacy network is an added benefit not only for patients without transportation but also for those who need additional help handling their medication regimens. "The home delivery pharmacy program has been very valuable for the patients that have received their service and for that they’re thankful," she said. Angeles recommends the Equiscript program because, "...it’s been an essential tool for our patients by providing them their medications at their doorstep, as well as the affordable payment plans they offer in the case of insurances not covering their medication costs. Equiscript also helps patients with reminders of medication refills and communicates well with the healthcare facilities to attend to the patient’s medication needs." When asked if she had any additional comments, Angeles said, "Overall it’s been a great experience working alongside the Equiscript home delivery program, for they have supported the same vision and mission statement we have here at Camarena Health. Serving our patients with the highest quality of care in a caring and compassionate manner. Thank You!" Site Champions help to ensure that patients get the best quality service, and that they get their medications when they need them - which keeps patients happier, healthier, and more compliant with their healthcare. Thank you, Angeles, for being a top-notch Site Champion!